NOTE: Since I published this blog post, I received a lot of messages asking for clarification; specifically on the salary part. You guys wanted to know how to earn that kind of cash in a year. So I wrote a follow-up blog post about that. Hope this help. Here's the LINK. A few years ago, I was working as a creative director at one of the top media production companies in Toronto. I had the perfect life on paper – a fat salary, a downtown condo, weekends on the yacht – you get the idea. Then one evening, it all fell apart. We were told there had been budget cuts, projects were moving to the US, and there was no more money in the Canadian film & television industry. What am I supposed to do now? I panicked. “What about Shenzhen?” Dan said. It was a ridiculous idea, I thought. Dan and I had taught English for a year in South Korea when we were fresh graduates. It had been an amazing experience - climbing mountains on the weekends, exploring the country on our motorbikes, and all the daily shenanigans. But this time it was different, I needed real money, I had bills to pay. First I thought Dan was joking but when I looked at the numbers I was sold. Long story short, I packed my bags and moved to China. I teach at a public primary school during the day, and at an American school in the evenings and on the weekends. 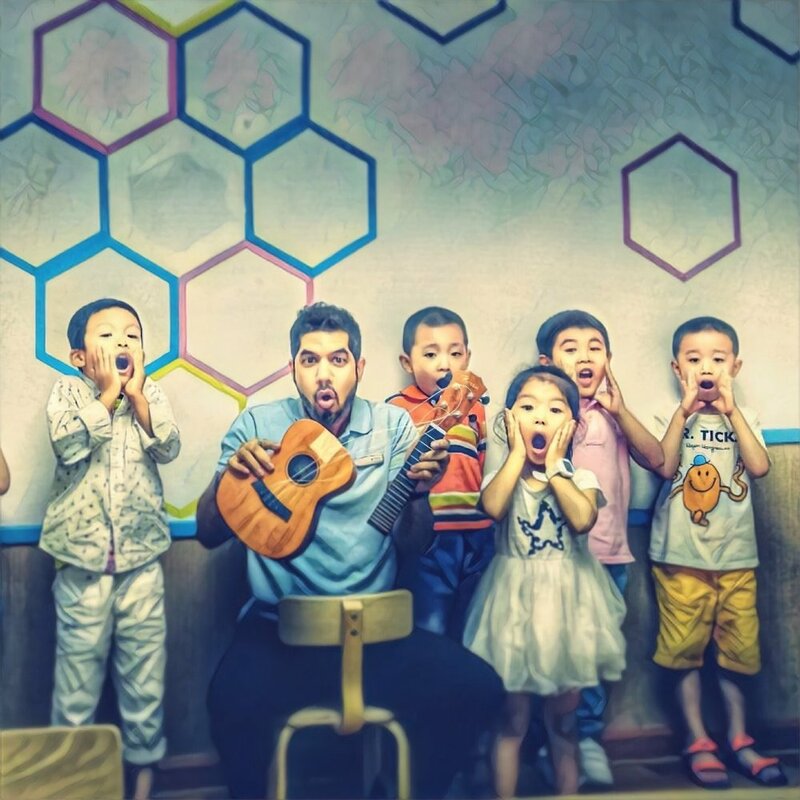 A lot of people consider South Korea for English teaching positions, because they offer the highest paid jobs in South East Asia for non-licensed native English speakers. I’ve done a few stints in South Korea, but here in Shenzhen I’m making twice as much! So let's talk about money. Disclaimer: I'll be very honest here. For the majority of the teachers in China, these numbers are not real. It takes perseverance, a lot of hard work, and luck to make this kind of money. However, it is possible. *This is an average number of course. You can easily save 300,000￥ (25,000￥ x 12 months) annually with two jobs, however, I have other expenses as well. For you it might be different. I donate 12.5% of my salary to a charity (52,000￥ annually). I take four vacations a year (3.5 months of traveling) so I spend around 50,000￥ on that. One of the best things about teaching English in China is that you get free accommodation! You have a choice to either take one of the apartments your school provides or get reimbursed for your own place. I love my apartment. My building has a yoga studio, an archery club, and free maid service – yes, they clean my apartment every week! Shenzhen is a great city. The more I explore, the more gems I find. Shenzhen has an amazing metro system, which also connects to Hong Kong. It’s very convenient to move around the city. There are beaches, parks, biking trails, shopping malls, live music venues and lots of festivals throughout the year. I love this city and I love the people in Shenzhen. They are truly amazing. I love the food at my school cafeteria, it’s finger lickin’ good. And it’s free! When I first arrived here, I wasn’t sure I’d like Chinese breakfast but our chef offered a lot of variety. I eat very healthy so I was thrilled when I found the food to be fresh, nutritious, and delicious. This is what my breakfast looks like. The cafeteria serves a massive buffet so there’s something for everyone. Soup, porridge, eggs, sweet potatoes, dumplings, fresh vegetables that you can steam on the spot, beans, corn, noodles and so many other things. The only thing I wish they had was coffee. I love my venti Americano in the morning but I don’t love paying so much for it, so I bought a French press and beans from Starbucks. Now I brew my coffee at home and bring it to work. By doing this, I’m saving US $2000 a year! This is what my school lunch looks like. The chef serves a different menu everyday so lunch never gets boring. We also get fresh fruits at the end of our meals. After lunch most of the people take a long nap. Unlike back home, lunch breaks here are 2.5 hours long! Nope, I’m not making this up. Just imagine, how much money you can save by having breakfast and lunch at your school. More money left for partying! For dinner and meals on the weekend, there are so many options. I particularly love this five-grain wheat noodles with fish soup. It’s so healthy and delicious. And guess what? It costs only US $2. On the weekends, I love exploring restaurants and trying new cuisines. So I splurge when I have to. It’s part of my lifestyle. WATER – Unlike home, you can’t drink tap water in China. So I keep a BPA-free bottle with me, and refill at purified water tanks when need be. My school, my gym, and most of the places I visit provide free water. If not, I just buy bottled water. ALCOHOL – I love having a glass of red with my dinner if I’m eating at home. The Wal-Mart near my apartment always has deals so I buy in bulk and save more. The prices are same as back home. For example, a good bottle of Shiraz from Chile will cost you between US $5-10. A bottle of Smirnoff vodka is US $15. The Famous Grouse Scotch goes for US $20. I feel very fortunate because I have some amazing friends here in Shenzhen. I love going out, exploring new and exciting spots around the city, socializing, going to the gym, and my favorite thing in the world – listening to live music. There are some great venues that bring amazing bands from all around the world; especially B10 Live in OCT Loft, which is known for their kickass jazz festival. The city has a wide range of avenues for fun and if you’re not content, you can always hop on the metro and head to Hong Kong. I get one month paid vacation during the winter semester. There are other vacations too, like the 10-day long break in the fall and lots of long weekends but the one-month long holiday is the best. And the whole summer off! When I was in Canada, I used to get 2 weeks off per year. That wasn’t enough for what I wanted to do with my life. I love traveling and photographing diverse cultures around the world. Now, I can do what I had always wanted to do. Travel! Here’s a photograph of me at the Big Lagoon in Palawan. What are you waiting for? Pack your bags and move to Shenzhen. Seriously! And if you need help getting a job teaching English in China, send me a message - I'll hook you up.